Artificial Intelligence is getting better at many things that humans aren’t, including playing games like chess and Go, but also in performing autonomous robotic surgery without human intervention. Machine Learning and Artificial Intelligence (AI) are fast breaking boundaries imposed by human imagination. Technological advances allow us to come up with purely data-driven results, without the hindrance of bias and emotions. Some of the outcomes may be uncomfortable for humans to accept, but the trend is unstoppable. In 2015, IBM’s AI platform Watson looked at over 10,000 different recipes and collected data on ingredients used as well as on food preparation. The AI then analyzed over a quintillion (1 followed by 18 zeros) combinations of ingredients to come up with recipes that no serious chef would ever consider, like ‘shitake and Gruyère ice pops’ or ‘pizza with cod, ginger and compote’ which reportedly taste really good. The creative conception of new, groundbreaking recipes was an exclusive domain of the most acclaimed chefs, but it now can also be achieved by mathematical algorithms. Machine learning, in its simplest form, collects vast amounts of data for any given purpose, in this case, the various parts of the 10,000 recipes. It then takes these data and runs them thru its algorithm, looking at sometimes unimaginable large number of possible data points. In doing so it learns over time what works, and what doesn’t. For us it would take lifetimes, the computer does it in the blink of an eye. The AI then uses these learned outcomes to autonomously create something new. The better the learned data are the better the prediction will be as to what new recipes will be delicious. My favourite example of how AI can learn and create something outstanding is undoubtedly ‘The Next Rembrandt’. Rembrandt van Rijn (1606 – 1669) is generally considered as one of the greatest visual artists in the history of art. 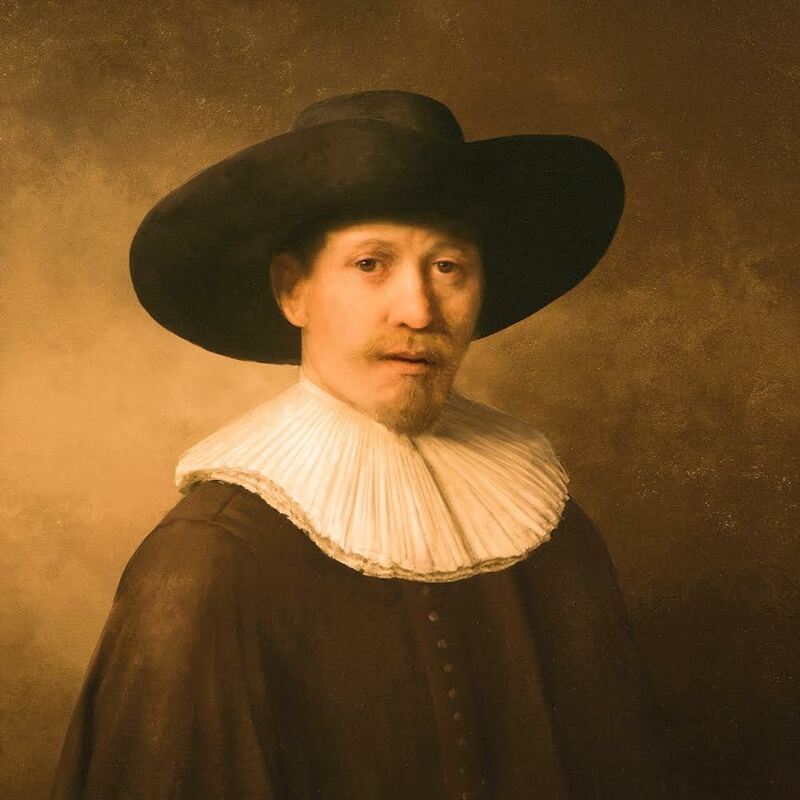 In 2016, 347 years after his death, a ‘new’ Rembrandt was created on behalf of ING bank and with the help of Microsoft, and done exclusively by an AI. A team of art historians and coders developed an algorithm that examined 346 of Rembrandt’s portrait paintings. Over several months the algorithm examined a huge amount of data, including facial recognition, geometries, colour patterns, techniques (like shadows, angles etc. ), and even the height of brush strokes. The AI was then hooked up to a specially designed 3D printer to create a 3-dimensional painting based on what it has learned during data collection. It used 13 layers of UV-ink and some 148 billion pixels to create a brand new ‘masterpiece’ (not a replica of an existing painting) in Rembrandt style, including simulated brush strokes. Art historians specializing in Rembrandt’s work concluded that the painting style was almost indistinguishable from a real Rembrandt (except of course for paint and canvas used). This example again shows that creativity is no longer only a human domain. The AI has learned from original works and used this acquired knowledge to create a new piece of art, purely based on technology and mathematical algorithms. AI is getting better at many things that humans aren’t, including playing games like chess and Go, but also in performing autonomous robotic surgery without human intervention. Associated Press, The Washington Post and USA Today are just some newspapers where AI writes the actual articles, freeing up journalists to do their investigative work. Netflix uses AI to commission and even cast new shows based on viewers behavioural data. As a marketing example, Facebook uses AI to determine your emotional state based on words you use in your posts or comments and shows you custom ads based on this. Instead of screaming ‘witchcraft, burn this AI’ we need to learn to embrace it. AI is part of our everyday life, sometimes visible, often in the background. We have to accept that creativity, whether in marketing, art or any other field, is no longer just a human trait. Machines are getting better at many tasks, leaving us more time for interactions that make us human. Dr Frank is the Principle Trainer at AsiaTraining.com and the owner of Skills Academy Malaysia. He specialises in Digital Marketing training, including Google AdWords, Google Analytics, Social Media Tactics and eCommerce. You can connect with Dr Frank on his LinkedIn.